Maximum size 5MB - Must be one of the following formats: jpg, jpeg, png, gif, pdf. 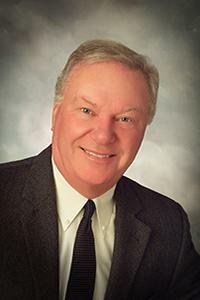 RICHARD W. (Rick) MEEHAN, Mayor – was elected to the City Council in 1985 and served as City Council President for 14 years up until he took over the office of the Mayor in June of 2006. Rick is a graduate of the University of Baltimore with a B.S. degree in Business Administration. Rick was born in New York City but grew up in Baltimore and spent his summers while in high school and college working at the beach. He moved to Ocean City for good in 1971. 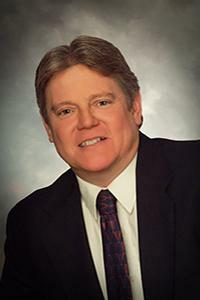 He is an active Realtor with Coldwell Banker Residential Brokerage. Rick is a member of the Governors Economic Development Committee, Downtown Association, Chamber of Commerce, and is the President of the Delmarva Irish American Club and the Co- Chairman of the Ocean City St. Patrick’s Day Parade. As Mayor he serves on the Pension Committee and the Police Commission. LLOYD MARTIN, Council President – was elected to the City Council in October 2002. Mr. Martin has 25 years of experience as a local convenience store manager, having managed a family owned business since 1983. He is currently vice President of the Caine Woods Association and a member of the local chapter for Ducks Unlimited. As a Councilman, he serves on the Noise Board. He is married with two young children. MARY KNIGHT, Council Secretary, was elected to the City Council in 2006. Ms. Knight received her Bachelors of Arts degree majoring in Business Administration and Marketing from Loyola College in Baltimore. She attended Johns Hopkins University for her graduate studies. Ms. Knight previously had a management career with AT&T for 27 years. She has served on the Ocean City Grievance Committee and prior to her election as the Labor Commissioner. 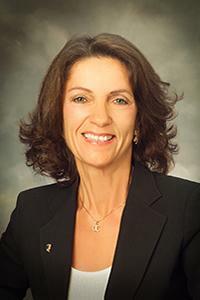 As a Council Secretary she serves as the Chair of the Tourism Commission. Mary also serves on the Transportation and Humane Society Commissions. Cell Phone: 443-235-0326. 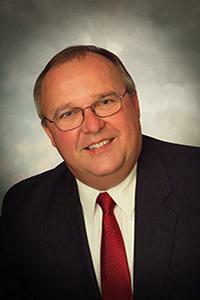 DENNIS DARE, Council Member, was elected to the City Council in November 2012. 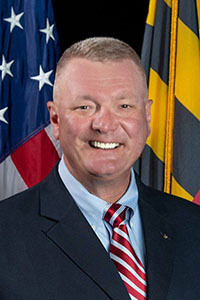 Mr. Dare grew up in Harrisburg, Pa., graduated from the Pennsylvania State University and served in the U.S. Navy aboard the U.S.S. Hermitage. A registered professional engineer, he is a member of American Legion Post 166, VFW Post 8296 and Elks Lodge 2645. He currently serves as immediate past-president of the Caine Woods Community Association. Other memberships include the Delmarva Irish-American Club, AARP and Atlantic United Methodist Church. He has served as chairman of the AUMC Administrative Council and AUMC Trustees, and was founding president of Boy Scout Troop 225. 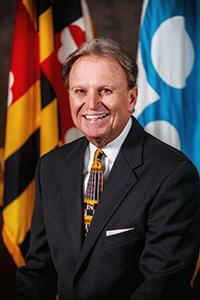 A former member of the International City Management Association and past president of the Maryland City/County Managers Association, Mr. Dare served as the City Engineer for the Town of Ocean City from October 1982 to March 1990, and as City Manager from April 1990 to September 2011. Married to Elizabeth Brownell Dare since 2000, Mr. Dare has three sons — Andrew (wife Kim), Jason (wife Carrie) and Ryan — and two granddaughters, Lexie and Karina, and one grandson, Finn. TONY DeLUCA, Council Member, was elected to the City Council in November 2014. Mr. DeLuca attended St. Rita School, Calvert Hall College, University of Baltimore and Johns Hopkins University. He retired after 46 years with KFC at Yum! Brands, Inc., overseeing sales, profits and people development for 350 franchisees and 2,000 stores. Since relocating from Baltimore to Ocean City in 2008, Mr. DeLuca served on the Board of Port Wardens for two years, currently serves as president of his condominium’s Board of Directors, and chairs the condominium’s Building and Grounds Committee who were recently presented an Ocean City Beautification Award. He is also a member of the Ocean City Marlin Club. As a council member, Mr. DeLuca serves on the Transportation Committee, Risk Retention Committee and Coastal Resources Legislative Committee. He and his wife Joyce of 49 years met on the Boardwalk in Ocean City. They have two sons, two daughter-in-laws, and two granddaughters, all who share a love for Ocean City. Cell Phone: 410-524-4243. JOHN GEHRIG JR., Council Member, was elected to the City Council in November 2016. 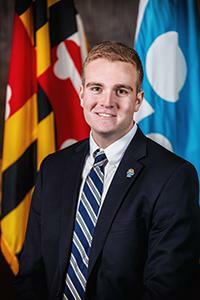 MATT JAMES, Council Member, was elected to the City Council in November 2014. In addition to the City Council, Mr. James serves on the Tourism Commission and the Beach Mediation Board. Mr. James has also been an active volunteer with the Ocean City Fire Department since 2006 and currently serves as a Lieutenant. Mr. James has worked in the Ocean City hotel industry for several years. He currently holds a management position with the Carousel Group where he oversees multiple hotels and is primarily responsible for operations, capital projects, and the overall financial performance of the hotels under his direction. In 2015, Mr. James was selected and honored by the Ocean City Chamber of Commerce as Ocean City’s Young Professional of The Year. In his free time, Mr. James enjoys golf, running, hunting, fishing, and spending time on the local waters with his girlfriend Nikki and their chocolate lab Cooper. MARK L. PADDACK, Council Member, was elected to the City Council in November 2018.